Spearfishing Today is the leading provider of spearfishing trips in Mexico, with operations in Cancun, Cozumel, Holbox, Isla Mujeres, Playa del Carmen, and Tulum. We offer charters for every Spearo, no matters your experience or level. 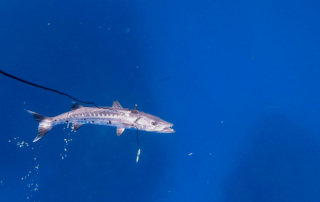 Learn to spearfish with the leading spearfishing experts in Mexico and develop the skills you need to become a successful underwater silent hunter in the Caribbean Sea! Polish up those spearfishing skills and become an even better hunter while improving your hunting prowess and mastering the techniques you need to become a successful spearo! 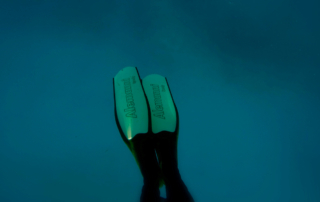 Where is your next Spearfishing adventure going to be? 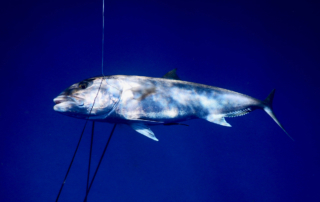 Find out the best spearfishing location for you! 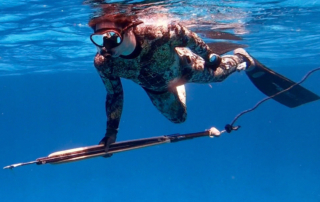 The insider scoop on the best spearfishing in Mexico. From Sea To Table: Our Way of Life. 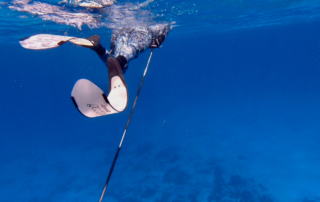 Spearfishing Today began operations in 2008 as a one-man operation. What started as a way of survival became a passion and then a thriving business. 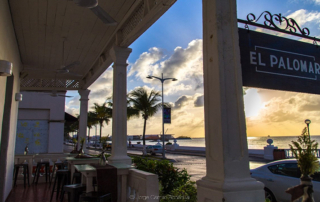 Since our founding, we have maintained the same concept: From Sea to Table. In other words, we eat what we catch. For us, spearfishing is a way of life, an encounter with ourselves, our bodies, and the way we interact with our environment. These life lessons that continue to inspire us and serve as the basis of our company’s identity and mission. Add to that our aim to treat each client as our honored guest, and you’ll understand why they come as strangers and leave as friends. 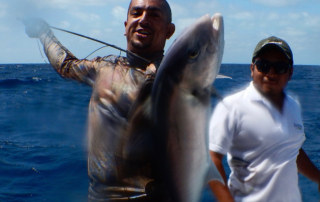 Spearfishing Today is your partners for the best spearfishing charters in the entire Mexican Caribbean. Our trips are available from Cozumel Island, Cancun, Playa del Carmen, Tulum, Isla Mujeres, and Holbox. 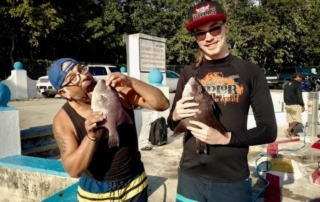 No matter whether you are just learning to spearfish or are an experienced spearo, our professional and certified guides will take you out to the absolutely best spearfishing spots in the entire region. In Mexico, no scuba gear is allowed, meaning you’ll be practicing apnea spearfishing or immersion spearfishing. In other words, you’ll take on breath and plunge down into the crystalline waters in search of your next meal.